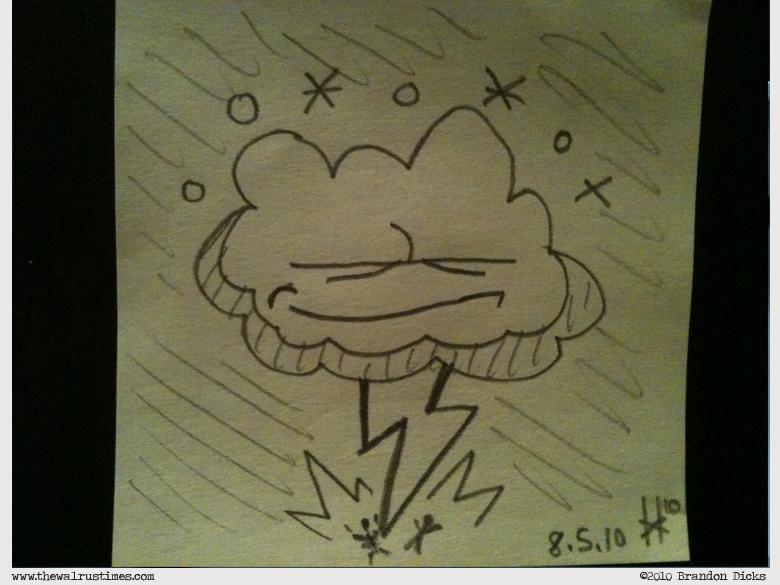 I wanted to draw a cloud, and then I thought of a thunderstorm and yeah. I’d probably smirk too if I could unleash a bolt of electricity that zaps people. Actually that’s the face I probably make when I fart. Yeah. Big ol’ cheesy grin. But this is a classy comic! CLASSY! Top hat and monocle shall return tomorrow. Soooooo Classy, but I make the same face; and when I do – they run.